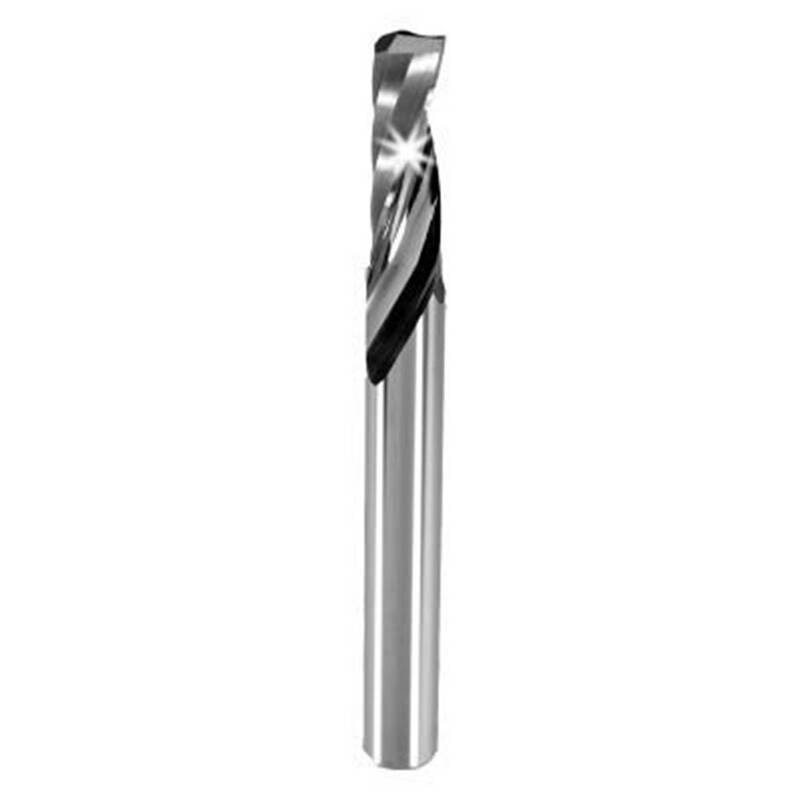 1/4" Solid Carbide One Flute Upcut Super O Flute for Plastic; Wood; Aluminum; Solid Surface. The polished flute allows for razor sharp cutting edge and easy chip evacuation. The tool is available in a down cut spiral for improved part holding. HELIX ANGLE = 21 °.